Krista Krekeler is an editor for MBU Timeline. A senior majoring in public relations, Krista plans to pursue a career in non-profit communications after graduation. She enjoys writing in her free time. She works as a resident assistant in North Hall and also works in event planning for the Student Activities office. 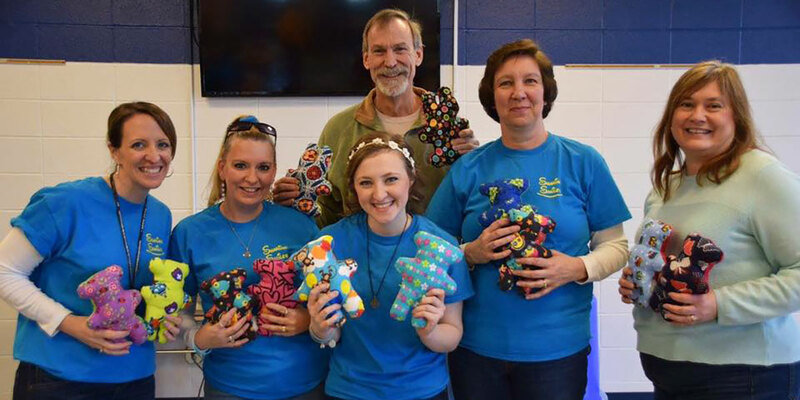 A mix of old traditions and new events are being prepared this week for students and alumni to enjoy. 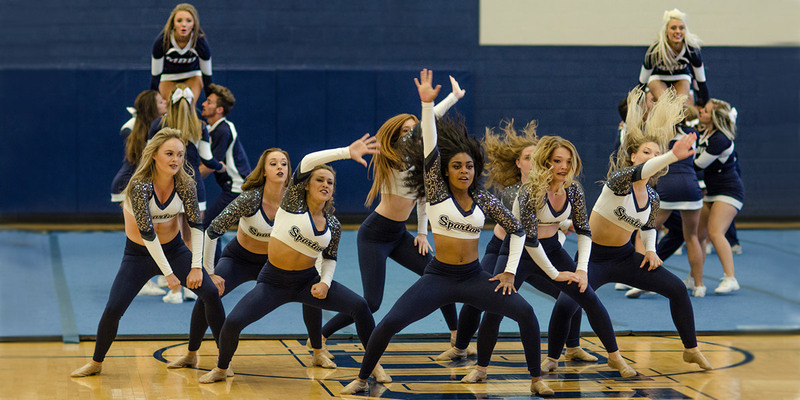 The MBU dance team and cheerleaders perform for students and faculty at the 2017 Homecoming Chapel in the SRC. Homecoming 2018 kicks off tonight with Spartan Madness at 8 p.m. in the Lacey Gym. MBU Theatre presents “Little Shop of Horrors,” the dark yet comedic story of a carnivorous, talking plant that promises fame and fortune to its unlucky victims in exchange for blood. The show opens this weekend in the Chapel. 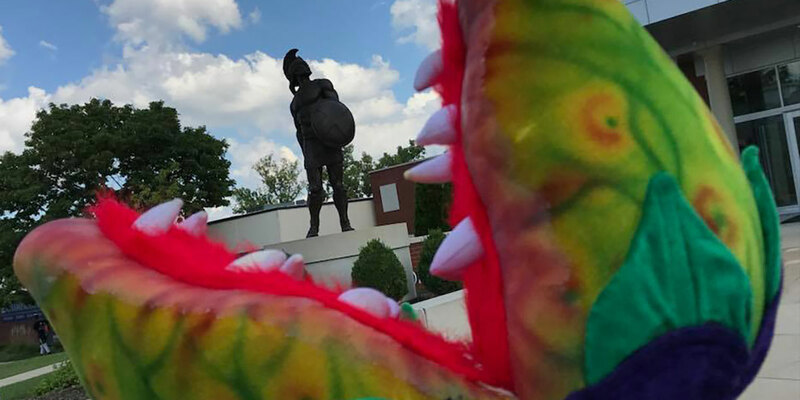 MBU Theatre students clown around with one of the puppets that will be used in this weekend’s play, “Little Shop of Horrors,” having a little fun with the Spartan statue during rehearsals.